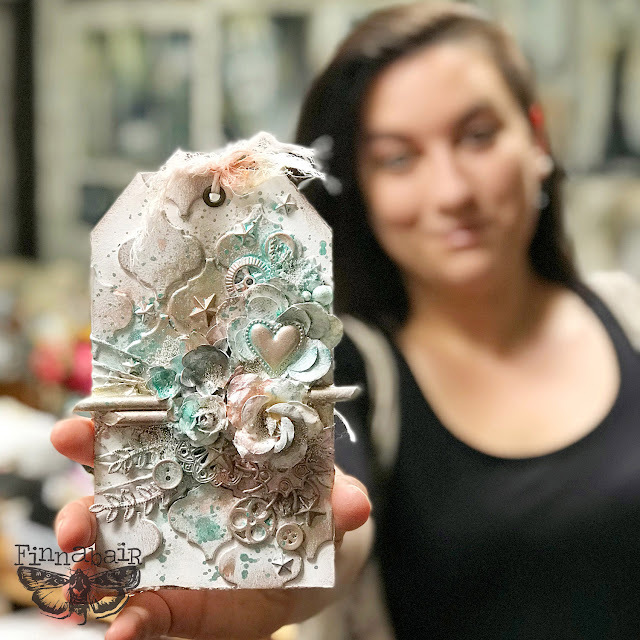 Today I'd like to share another of my Mixed Media Minutes fb live video tutorials. But before I do, let me just say a huge thank you for joining me during my facebook shows, for your feedback and all the enthusiastic comments! I love seeing the artworks you create after watching my videos, keep them coming and don't forget to leave links to your creations! 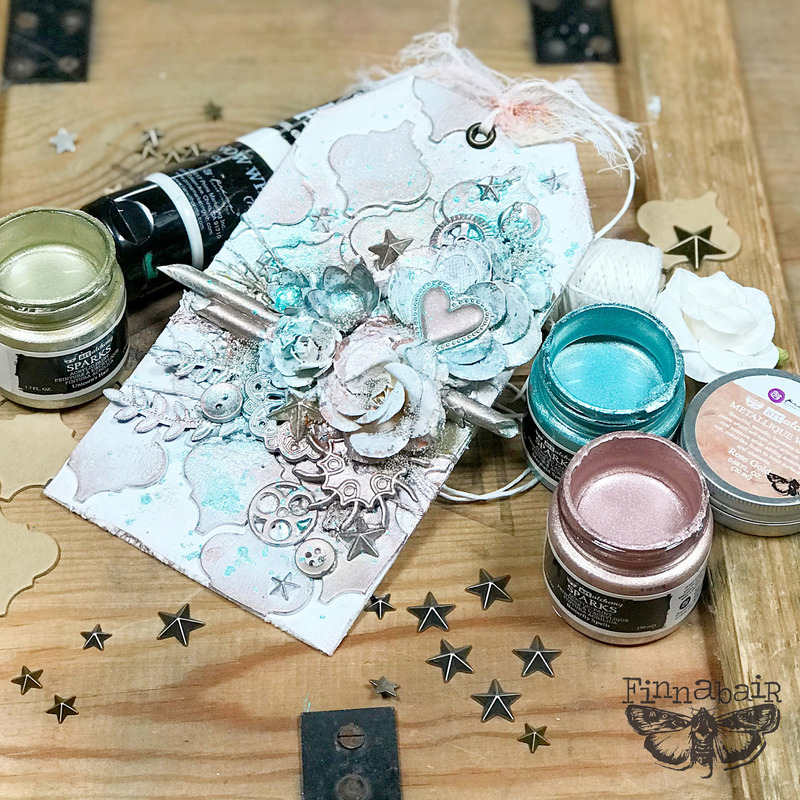 On this tag I decided to experiment a little and use two kinds of paints that are not often used together: Art Alchemy Impasto paints that have a matte finish and Sparks that are really shimmery. It turns out they actually work great together and I hope you'll feel encouraged to try out this combination yourselves! 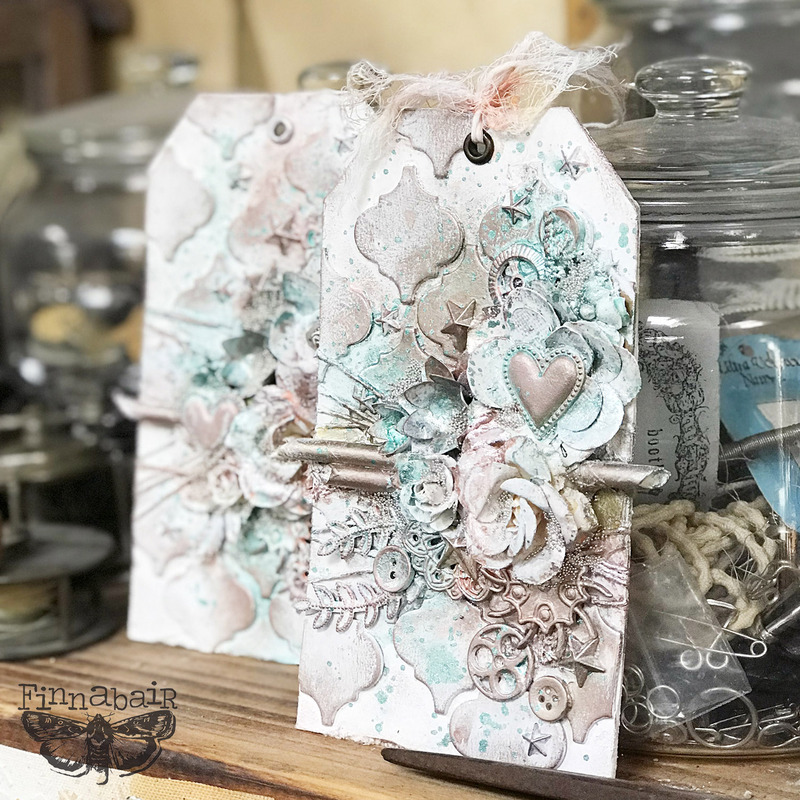 Matte Prima paper flowers together with my shiny Mechanicals, Micro Beads and one of the Art Alchemy Waxes only enhance this effect. I'm really happy with how it all turned out and I will totally use this combination again! Please, enjoy my video recording of the fb live and see step by step how I created my tag. Don't be afraid to experiment and reach for products that at first glance may not go together. and of course, you can also subscribe to my you tube channel and be up to date with all the latest videos. Just GORGEOUS, Finn! 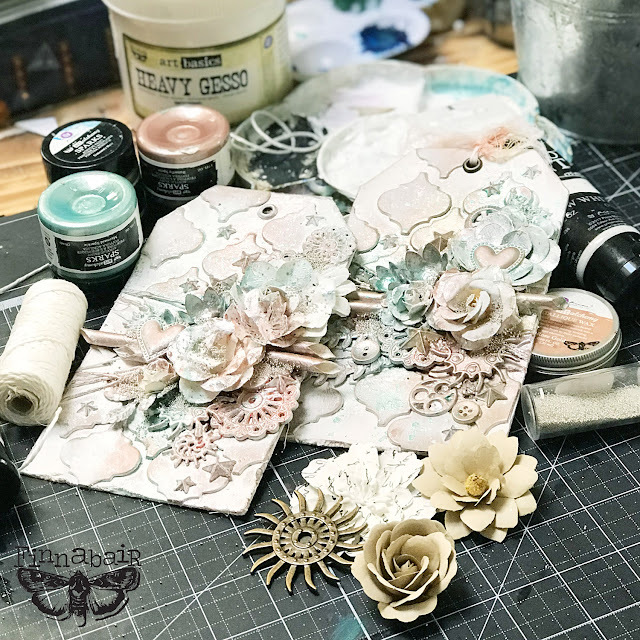 I LOVE to watch you create! Wish you were going to be in Florida on your USA tour!